Sitting in Yuri Gagarin's chair? Check. Watching a rocket launch? Check. Exploring a Soviet blast from the past? Check. Then you must be in Baikonur, in Kazakhstan's remote south. This is the spot where the first cosmonauts (including the famous Colonel Gagarin) lifted off into outer space, and its activities continue today in the thoroughly modern spectacle of a Russian rocket launching an American satellite. 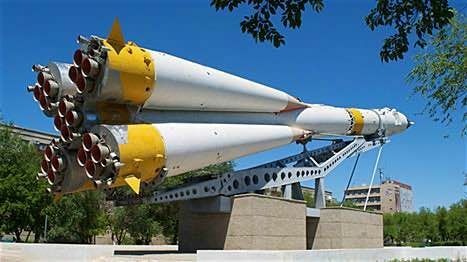 Baikonur is a product of the Soviet era – the city didn’t even appear on maps until the collapse of the USSR – its entire purpose being to help Communism win the space race. Today the Russian Federation leases Baikonur Cosmodrome from the Kazakh government and has even assisted in the development of a Kazakh Space Agency. Virtually everyone in Baikonur is connected with the space programme. For a foreign visitor, it's the manifold ghosts of the Cold War space race that will really appeal. Reminders of a glorious past can be seen around town: from modernist mosaics of Yuri Gagarin to huge Proton rocket launchers, the heritage of the Cold War is everywhere. 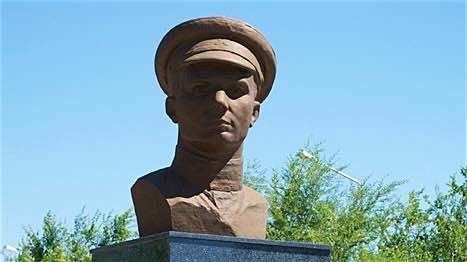 Baikonur still maintains some Soviet security traditions and casual visitors will be turned away from the entrance by Russian Federation soldiers. You will not even be allowed to disembark from trains without a special permit. However, these permissions are well worth the effort, especially if your visit coincides with a commercial rocket launch. If you're lucky, you might even catch a manned mission being launched. 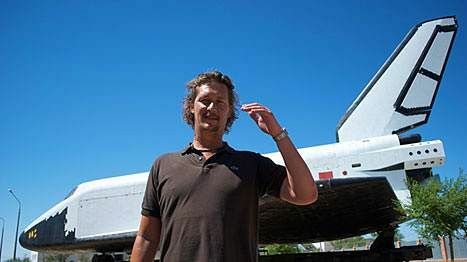 Be sure to visit the on-site Space Museum where exhibits include the cottage that Yuri Gagarin slept in the night before his famous flight and 'Buran', the Soviet space shuttle. 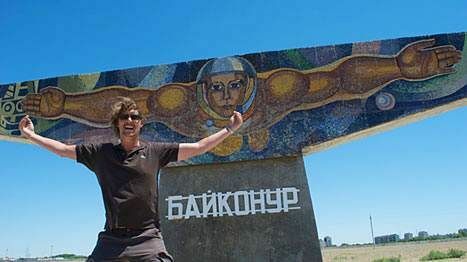 Unlike Cape Canaveral or the Houston Space Center, Baikonur is virtually empty of visitors and you will likely have the original Sputnik all to yourself. Everything about Baikonur is intriguing; from its Cold War past to its commercial present. Relive those Flash Gordon fantasies and head out to the Kazakh steppe...where you'll discover that tomorrow apparently looks a lot like 1959. Iain Shearer travelled to Kazakhstan on assignment for Lonely Planet. You can follow his adventures on Lonely Planet: Roads Less Travelled, screening internationally on National Geographic.